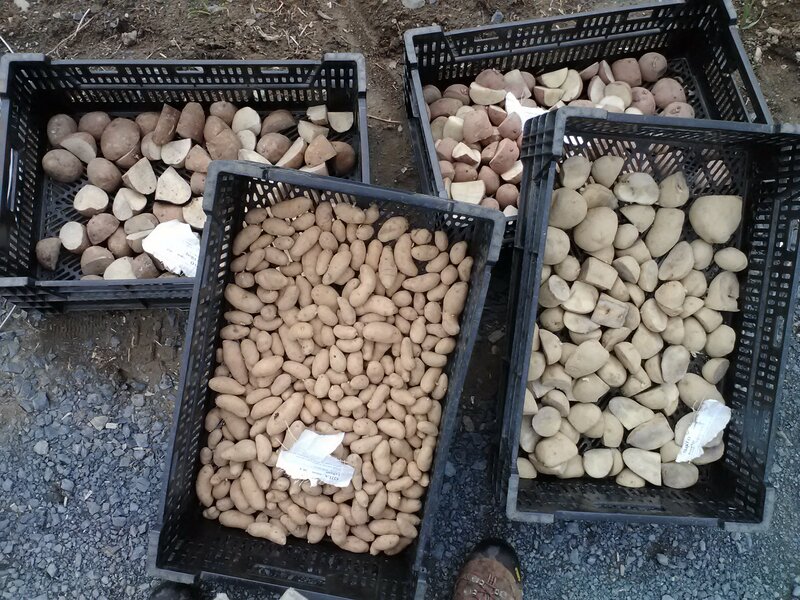 May 1, 2012 secondwindcsaLeave a Comment on Fields Filling Out, CSA Filling Up! 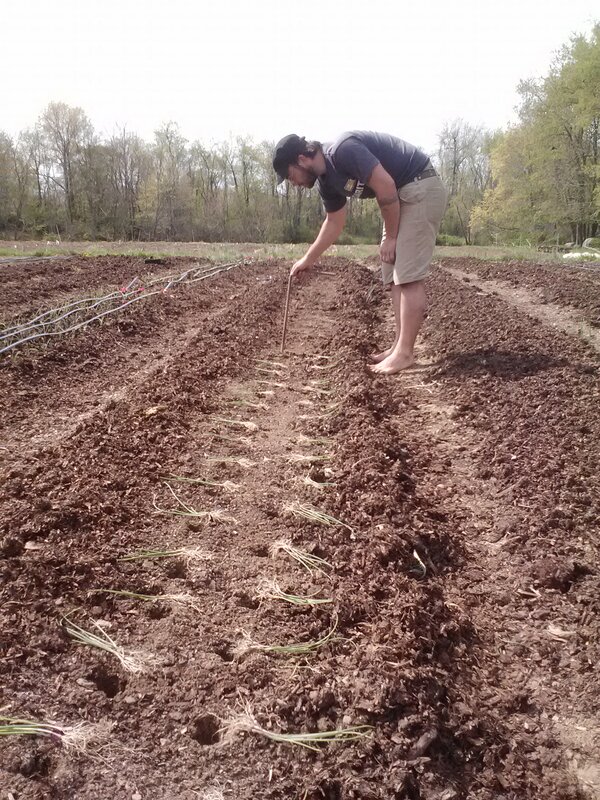 Fields Filling Out, CSA Filling Up! 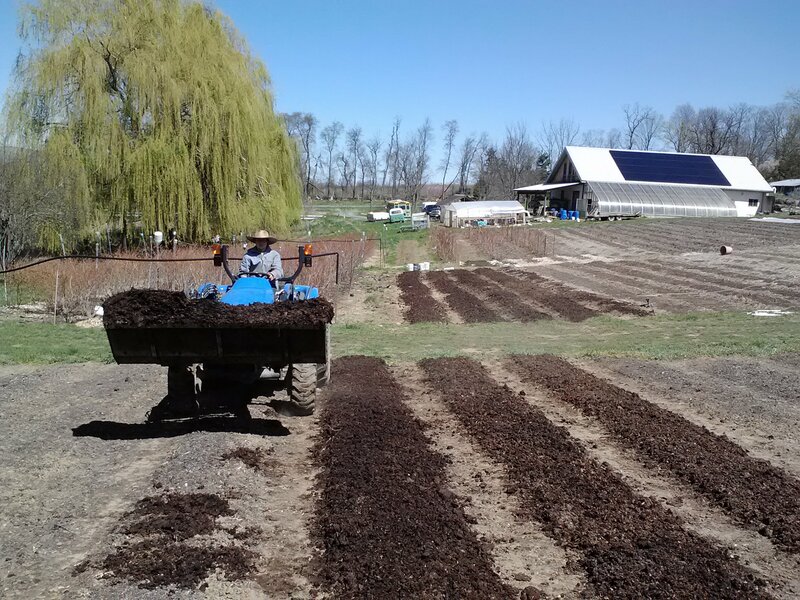 We are basically finished with the first round of transplanting those cooler-weather, hardier veggies, such as lettuce, kale, chard, collards, spinach, sugar snap peas, turnips, carrots, beets, celeriac, broccoli, cauliflower, leeks and onions. 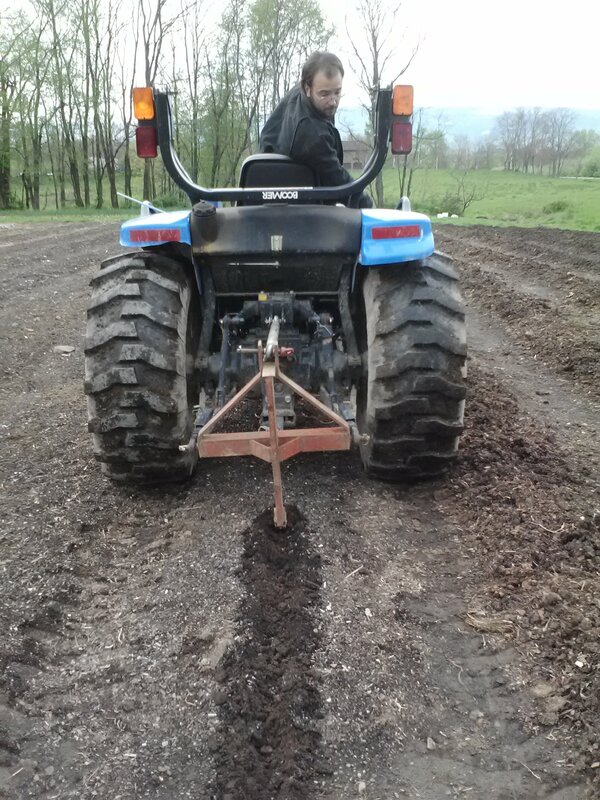 Onions were a great relief to get in the ground– about 5,500 of them! The next planting extravaganza will happen after the last expected frost, in mid-May. Those are the warmer season plants, including tomatoes, eggplants, peppers, cucumbers and squash. For now, they are cozy in the greenhouse. This past week was particularly challenging, since there were two overnight frosts, after weeks of unseasonal warmth. We covered almost everything out in the field with protective row cover, and even double-covered some of the more sensitive crops. We’re lucky that air flow at Four Winds is quite good, so even when the temperature got down to 26 degrees, it moved through relatively quickly. We’re happy to report that almost everything made it through just fine, with only a few casualties. Needless to say, we and the plants are looking forward to the non-frosty upcoming weather. Just about a month to go until distribution! Previous Off to a Flying Start! Next Week 1 – Distribution Starts for 2012!